Let me take you way back, in the year 1966, January 15 when a group of mutinous Nigerian soldiers – Chukwuma Kaduna Nzeogwu, Emmanuel Ifeajuna, Timothy Onwuatuegwu, Chris Anuforo, Don Okafor, Humphrey Chukwuka, and Adewale Ademoyega launched a coup d’ état, killing 22 people including the Prime Minister of Nigeria, many senior politicians, many senior Army officers (including their wives), and sentinels on protective duty. The coup plotters attacked the cities of Kaduna, Ibadan, and Lagos while also blockading the Niger and Benue River within a two-day span of time before the coup plotters were subdued. The Chukwuma-led coup claimed that the government overthrow was executed in order to eradicate corruption, but Oba Adeoye, a Nigerian Journalist, points out an event that permanently changed the history of a young promising nation in his documentary, insisting that even 50 years after, national dailies still report corruption in high places. 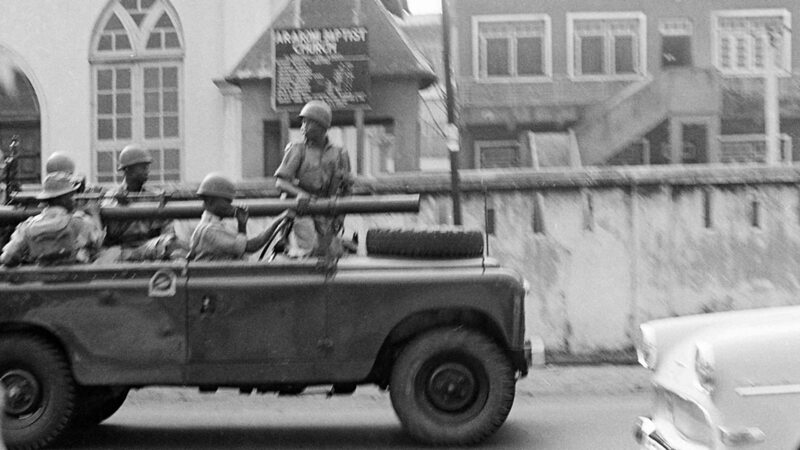 This is a special feature on the 50th anniversary of Nigeria’s first military coup, aired on Television Continental. Internet company reaching young Africans Worldwide, from Africa.